When you throw these plastic bottles away not only are you adding to the landfill but you are pitching .5/bottle. 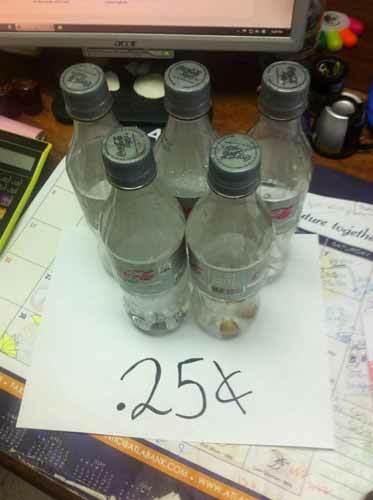 This photo equals .25 cents! You can take them to your local Bowen & Bowen distributor.